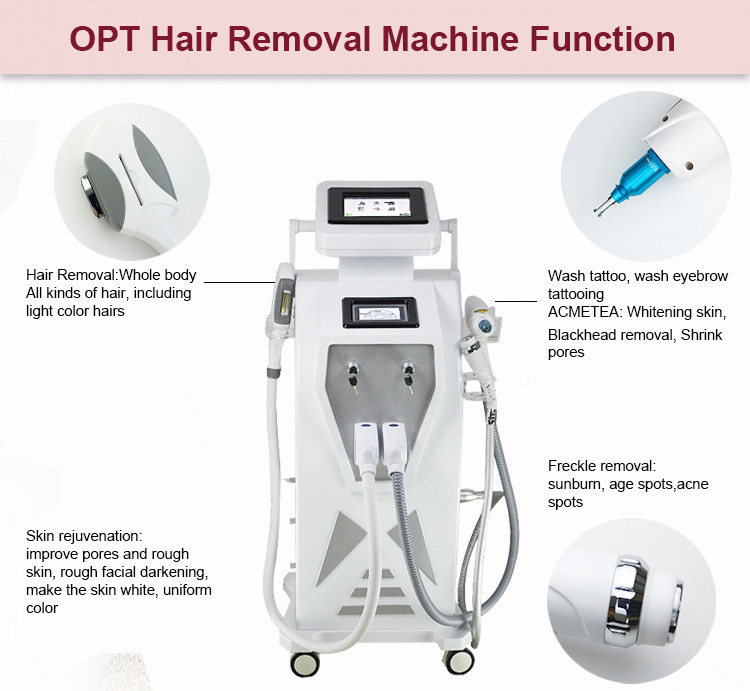 The machine is the combination of E-light laser and RF system in one machine. 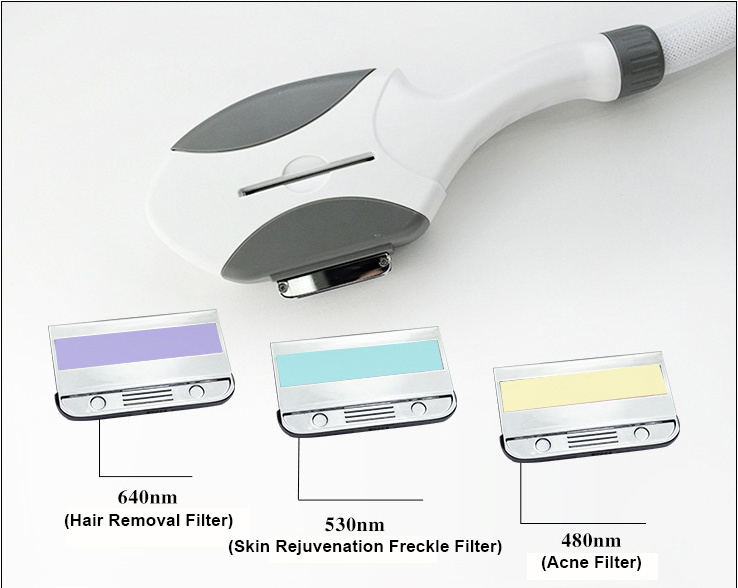 1).OPT and E-light with 3 filters mainly work for hair removal, skin rejuvenation and acne pigmentation treatment. 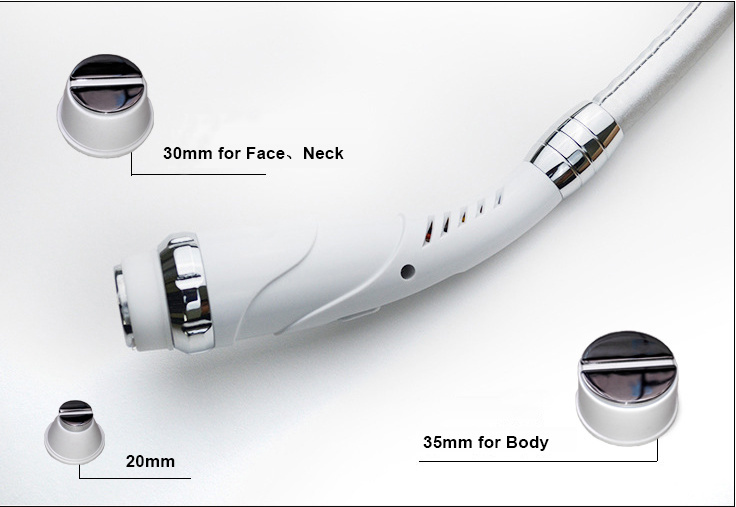 2).RF with 3 treatment tips mainly work for skin lifting, tighten flabby skin, wrinkle removal for both body and face treatment. 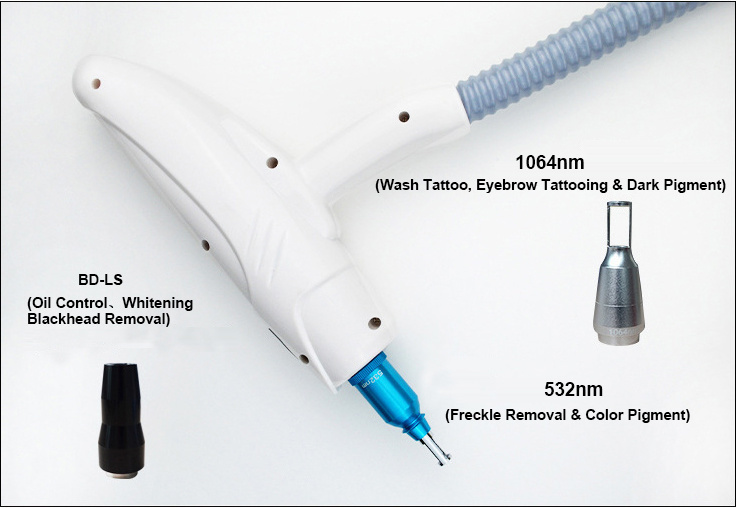 3).Laser with 3 tips work for tattoo removal. -Multi-pulse technology makes treatment more efficient through selectively adopting different pulse width and duration on different target tissues. -Perfect square, balanced energy output and "in-motion" treatment will be well realized. 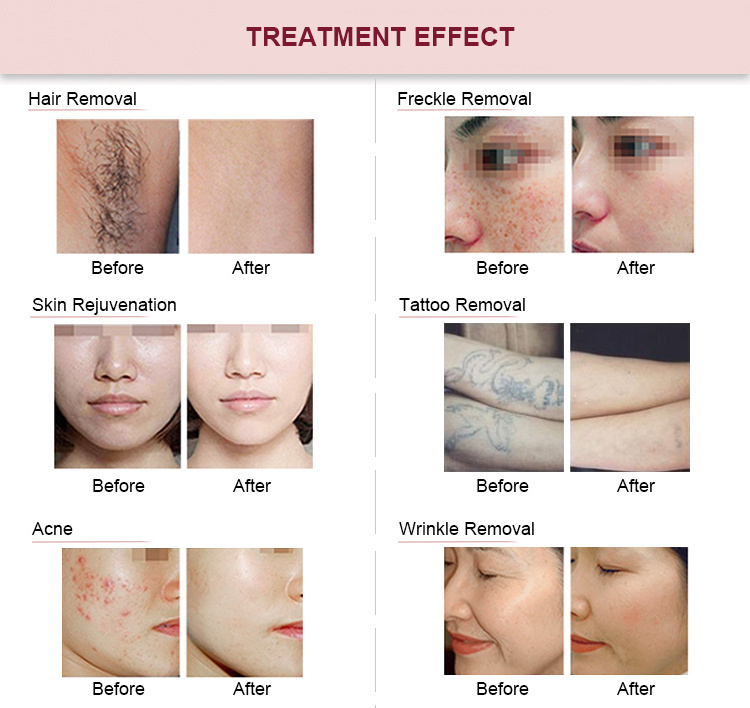 -Epidermis will be maximally protected and gradual increasing of epidermis temperature is guaranteed. -Target tissue reaches treatment temperature rapidly so as to guarantee therapeutic result. Totally comfortable treatment, no side-effect.